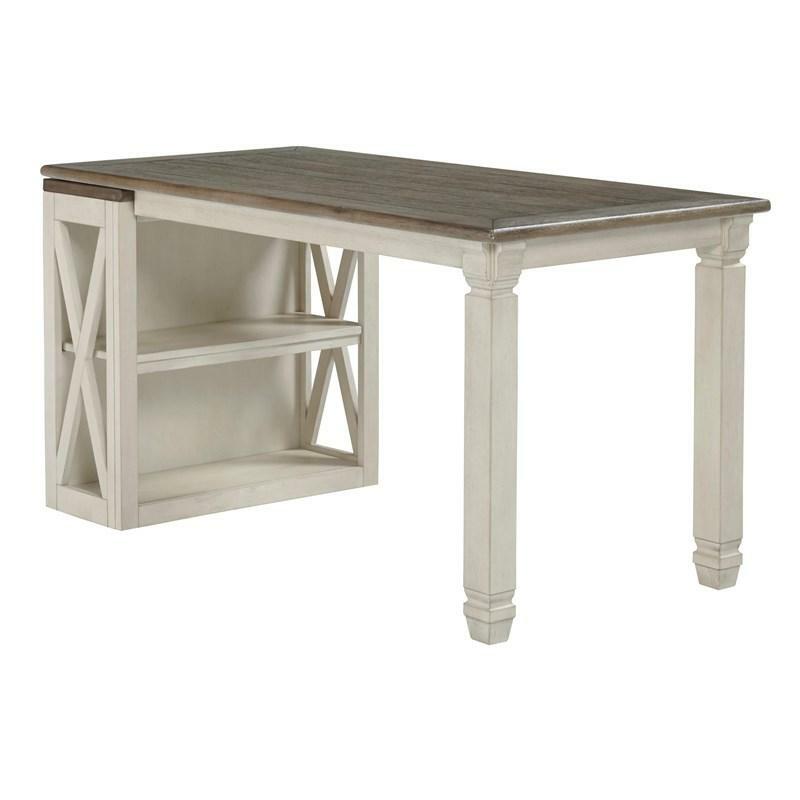 Whether your style is farmhouse fresh, shabby chic or country cottage, you'll find the Bolanburg desk with medium bookcase works on so many levels. 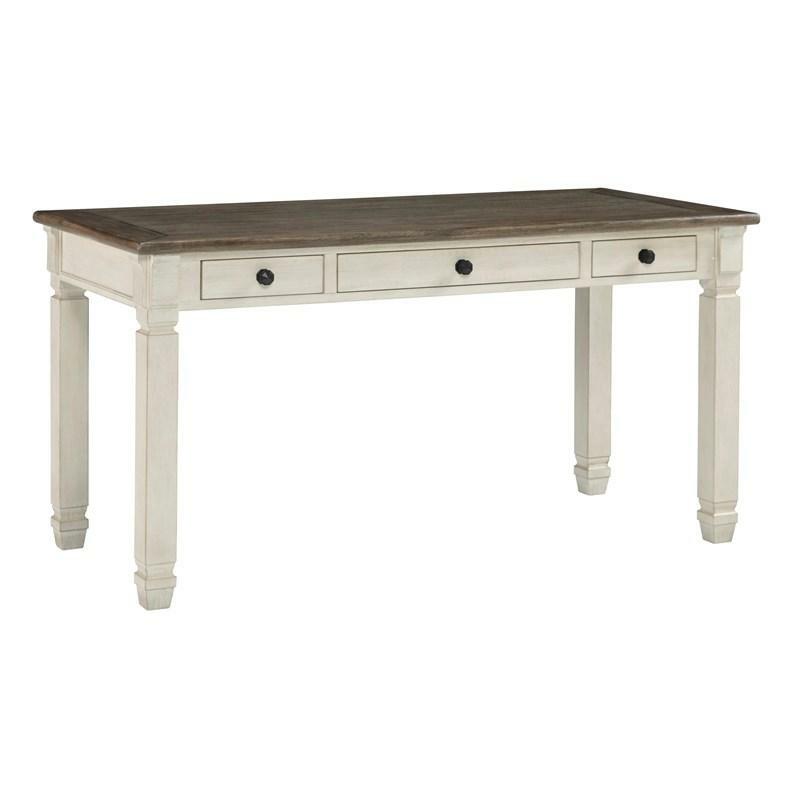 Two-tone, gently distressed finish of weathered oak over antique white doubles up on character that’s enhanced with a plank-effect top and cross-buck sides. 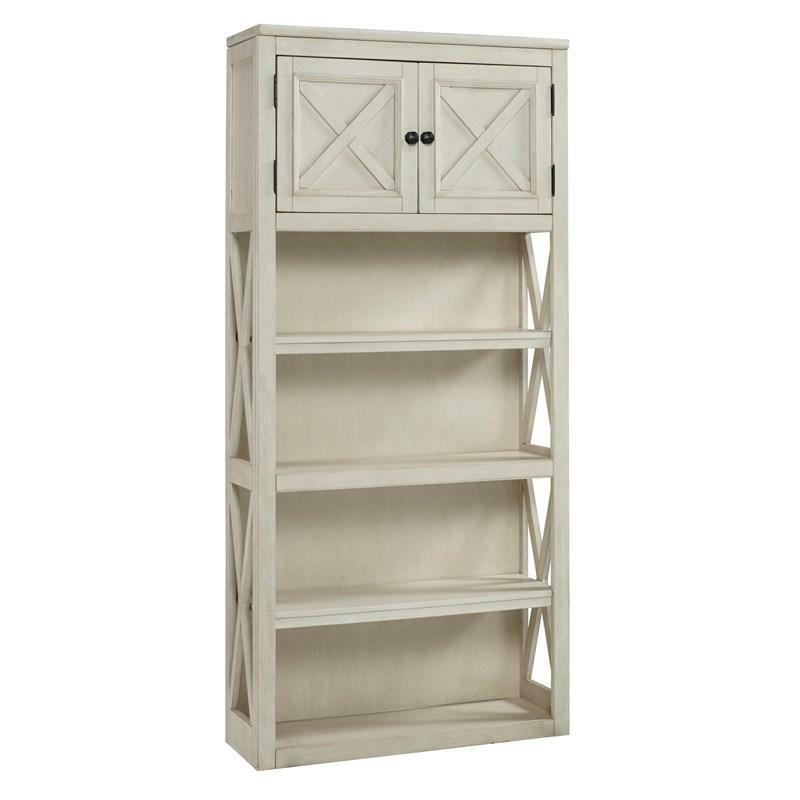 This two-level bookcase tucks under the desk return to offer essential storage in a space-efficient way. • Chair opening 40.50" x 29.50" x 27.50"
• Opening 25.75" x 9.38" x 25.00"
• Adjustable shelf 27.63" x 10.13" x 1.88"